Switch Pro Baseball Famista Evolution ranked 2nd and Taiko no Tatsujin: Drum 'n' Fun! 4th. For these two titles legs are expected. .
Obviously we will know a lot more Wednesday, but early indications on Famista seems like a 100K title to me. Nintendo restocked Captain Toad at many retailers, supply problems will be soon past. It's a port of a Vita game not many cared originally despite great word of mouth. Expect zero legs. 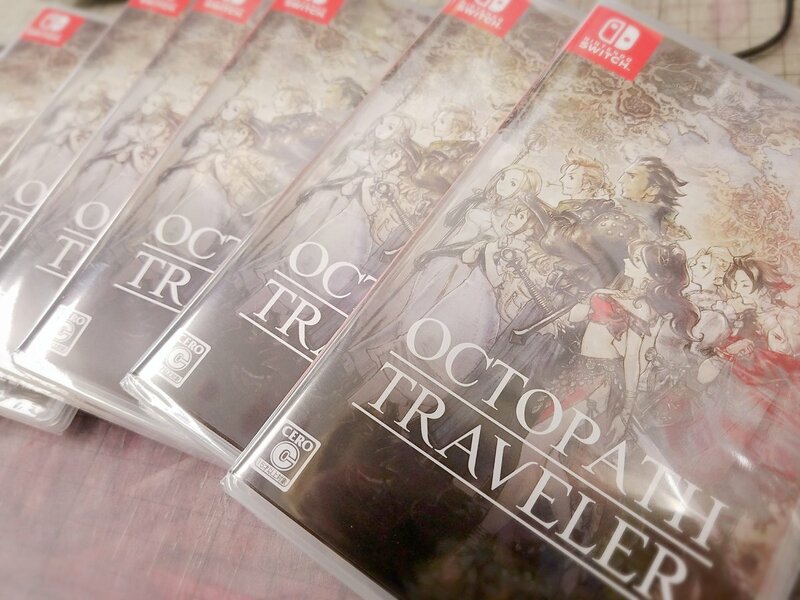 Octopath Traveler next shipment is planned for August 13th in Amazon.jp. There is no info for OT restocks this week so far, big or medium. Square missing pre Obon week is a possibility. This is ludicrous at this point. Does Go Vacation have a release date yet? There's no marketing at all and it's an enhanced port of a game that's almost 2 years old. I expect Setsuna/Sphear numbers unfortunately. I expect Setsuna/Sphear numbers unfortunately. Setsuna did almost 60k FW. Lost Sphear did around 14k. Scarlet Grace did 58k FW. This degree of shortages has nothing to do with carts at this point. SE just fucked up, simple as that. They fucked up really badly. On Switch. I expect <20k. I think Setsuna was like <10k. What do you mean? It is because of cart production that there are ongoing shortages. Is that hard to understand? When was the last time you saw this with a disc release? The restocks are limited because they can only produce limited stock each time. You didn't specify the platform. Setsuna was a late porting on Switch but Sphear was released simultaneously. Yeah I mean I just expect it to tank. This is also a late port. GEO reported high sell-through for both versions. It might not open high but at least it wont bomb. especially exceeded in US and Europe? wonder if higher than normal digital means "higher than normal in general" or "higher than normal on switch"
I misread those tweets as confirmation of Octopath Traveller 2 and Octopath Traveler 3, hahaha. 75% is basically the Western HW ratio for the Switch. Games that got a WW release with a different repartition between Japan/West will be the exceptions. I mean is anybody surprised by Square-Enix not understanding that people still like turn-based JRPGs. I think it's time to give FFV and FFVI a chance by developing remakes that are faithful to the original material. It's in Octopath Traveler 4 and 5 you'll get your 2 and 3 announcements. It's pretty easy to see that they underestimated how popular the game was going to be. Going by past trends, will we get a Dragon Quest remake next year ? And when do they usually announce these games ? I wouldn't expect anything. SE discussed a remake of DQ3 a few years back, but have no plans to do one now. Wouldn't DQIX be next ? Yeah I think that DQXI Switch + DQB2 (if it does not make 2018) will be enough for the franchise in 2019. These games getting the FF IV PSP treatment would have been great ...sadly SE doesn't agree. What's the next fro DQ on consoles? Builders 2 has been announced but what about DQ Monsters? And DQ remakes? I think conditions are there for those games to succeed: nostalgia, people starving for more traditional jRPGs, Switch selling greatly in Japan. That to a certain extent this is cart production related I would agree, but how do you explain Toad getting this week sufficient new stock in? One company controls the entire cart supply line, while the other doesn't. They both compete for carts, who do you think will get the most copies? I don't think Nintendo is really fair with this stuff. 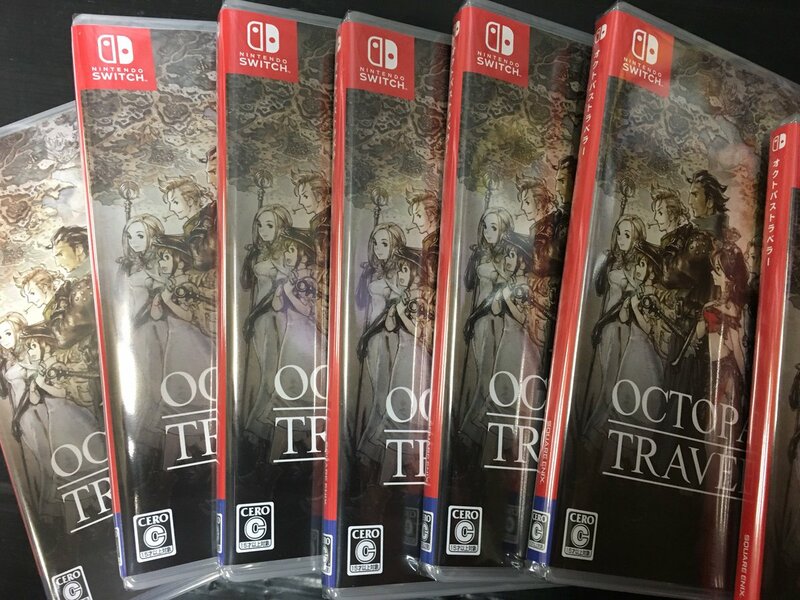 But isn’t Nintendo also publishing Octopath everywhere outside Japan? I have no idea what the supply situation is but surely Captain Toad is more profitable for Nintendo to sell than a Square Enix game. The next DQ to remake is less than ten years old, I think we won't see it any time soon. I do expext some kind of DQM news after DQB2 comes out. Hrm, that’s a fair assumption. Captain Toad is also $40 vs Octopath’s $60, but that may not hold much weight. However, it is clear that a copy of Octopath sold in the West is more profitable than a copy sold in Japan and since Europe is currently facing severe supply issues for the game, Nintendo might favor this market over Square and Japan. DQV was remade 12 years after the original and then remade again on DS 5 years later. I think DQIX can greatly improved with a remake given that it was released on a technologically weak platform. 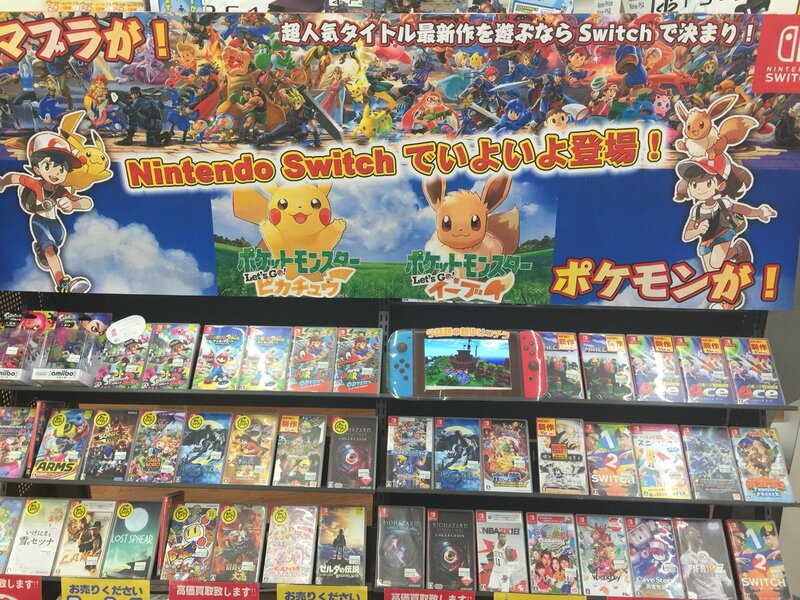 This will definitely cause lost sales, especially in Japan, probably much more than the extra profit from digital. I bet the next remake will be DQM Caravan Heart from Tose. Only question is Switch exclusive or Switch+PS4. Last time with a disc was probably MHP3. It’s likely less about the media type itself (silicon vs optical) and more about Switch using an entirely customized format from Macronix while all the Blu-ray consoles can use long established cross-industry manufacturing from a variety of vendors. If Nintendo could contract out more factories in cases like this Switch software shortages could probably be alleviated much sooner. Top 8 are Switch titles, Splatoon 2 topped 2,5m and The Legend of Zelda: Breath of the Wild 1m, Etrian Odyssey X and Pro Baseball Famista Evolution are August's more important releases.